Conversational search presents opportunities to support users in their search activities to improve the effectiveness and efficiency of search while reducing cognitive load. 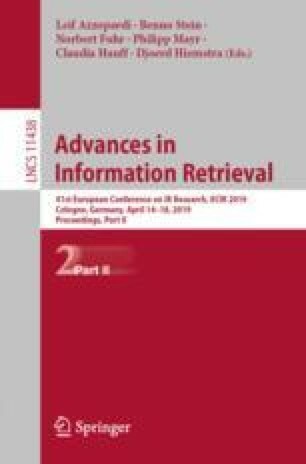 Since conversation is a natural means of human information inquiry, framing the information retrieval process within a dialogue is expected to make the search process more natural for the user, in terms of query entry, interaction to locate relevant content, and engaging with the system output. My PhD Research project seeks to make progress toward realizing the vision of conversational search systems. Supported by Science Foundation Ireland as part of the ADAPT Centre at DCU (Grant No. 13/RC/2106) www.adaptcentre.ie. A. Kaushik—Under the Supervision of Gareth J. F. Jones.